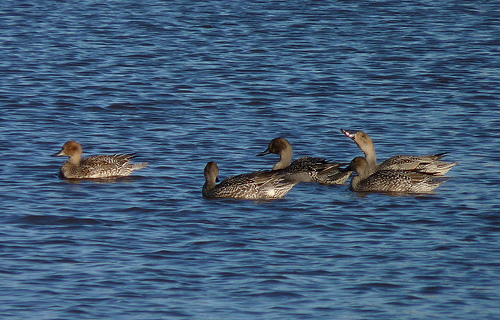 The female Pintail has a longer tail and a black and green spot on the flanks. The flanks of the Gadwall are white. The females are difficult to distinguish. 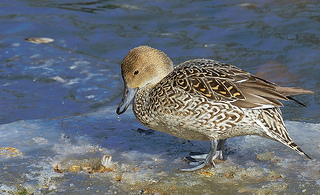 The Pintail has a longer tail. The Mallard has a blue spot on the flanks.